One could hardly complain about any facet of any Lexus, but when one is afforded the added opportunity to drive an ‘F’ Sport Performance model of any vehicle in the Lexus stable they are in for an added dose of Fantastic! The F model LS500 I drove around town this past week was so delightful I found myself “dreaming” up new places to go just so I could drive the car there! Not that it was really needed because the 415 horsepower LS500 sedan I drove already had torque to spare, but it sure was an added bonus to hit the mode button to shift this superstar into sport mode. It made me feel like I was in the “Back to the Future DeLorian” about to launch off the pavement into the wild blue yonder! The ten-speed sequential automatic transmission turns the 30 miles per gallon EPA highway rating almost a tad low, even when in sport mode. My mileage actually surpassed that a bit on the highway, even though I found it very difficult to hold the reigns on those horses tightly enough to keep the car at under 80 miles per hour. The interior was everything one would expect in a Lexus. A giant 12.3 inch high resolution multipurpose screen immediately jumps out at the driver, as they settle into the plush 28-way power seat. 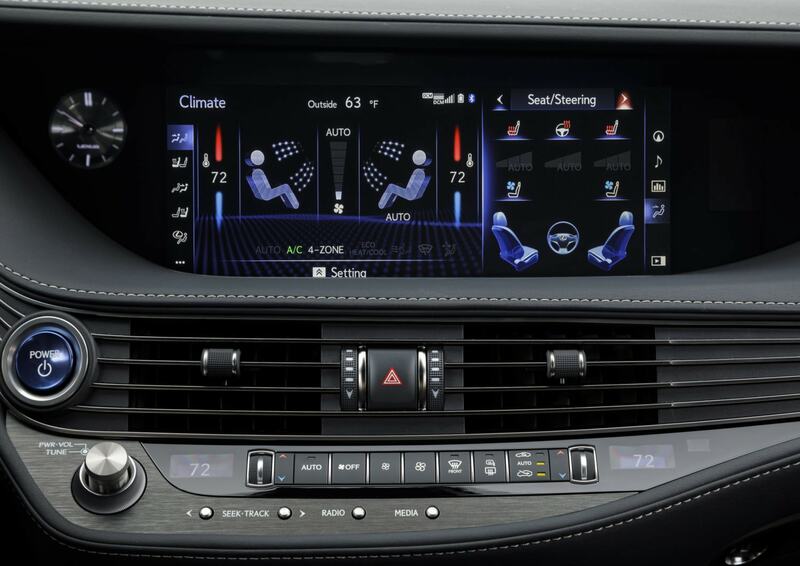 The screen even has double purpose with a smaller informational screen to the right of the major screen so both radio and nav or any other two functions can be open and shown at the same time. I do admit to being somewhat of a dope in that it took me a fair amount of time to figure out how to tune the stereo, initially thinking I could change it through touching the screen, then by hitting one of the four portions of the special touch pad, but ultimately finding that there was a much simpler and safer way to find the station I desired – a dual function dial! The outer dial controls the volume while an inner larger dial tunes the stations. Duh! It’s so simple it’s a real “slap myself on the forehead” moment! I was thinking the four-way touchpad operated like a mouse and I could change the radio tuner with it. Turns out, it’s much simpler to tune the radio – a real “slap your forehead” moment! 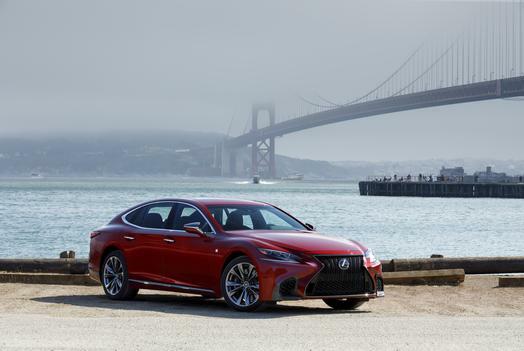 In order to go over every feature I would have to make this review three times longer than space allows, so I will simply tell anyone interested in learning more about the 2018 Lexus LS500 to stop by a dealer and take it for a test drive. 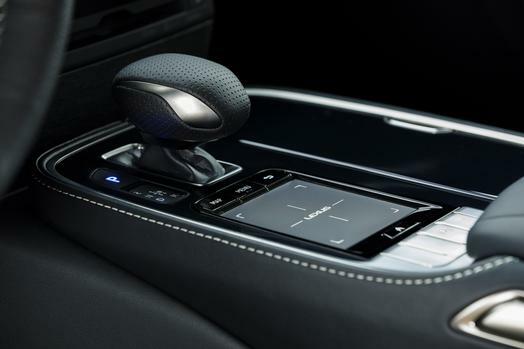 I would urge having one of the experts at the dealership ride with you so you don’t fall into the “stupidity trap” I did with something like the radio tuning knob. There are simply too many features on this car to catch them all on your own in this “built for the future” supercar!